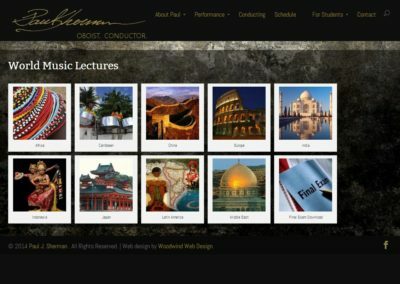 Dr. Paul Sherman was interested in upgrading his website away from the WordPress.com platform, which is best for blogging. 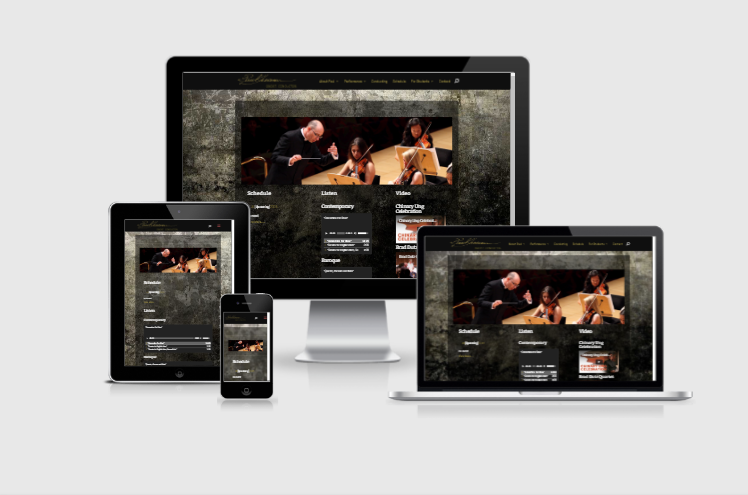 He was interested in a modern-looking site that highlighted his conducting, baroque and contemporary music performances. Together, we chose a look that had an urban/grunge feel to contrast that of his music which is baroque, but would also complement his interest in new music. 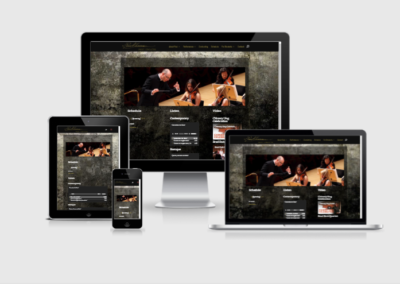 For his media content, used an HTML5 audio playlist to make his sound clips viewable on iDevices as well as incorporated some of his YouTube video performances. 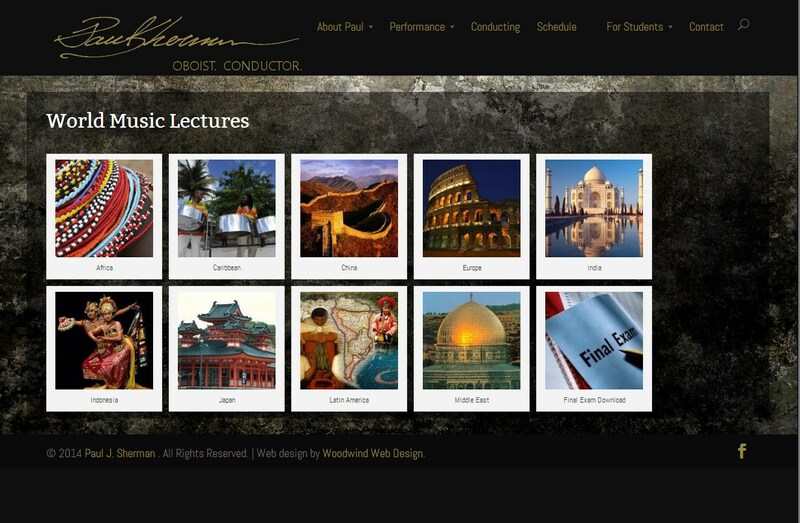 Because Dr. Sherman is also an educator, we included a student section for lectures (Powerpoint presentations) that can be viewed online or downloaded. 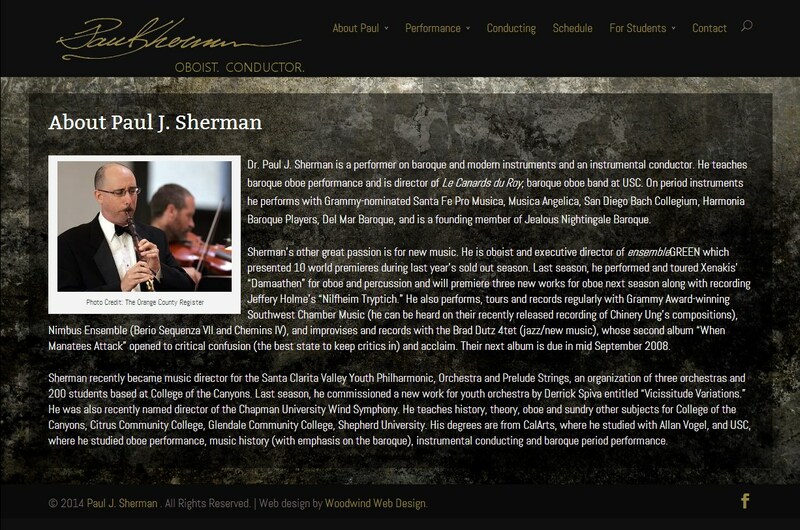 Dr. Paul J. Sherman is a performer on baroque and modern instruments and an instrumental conductor. 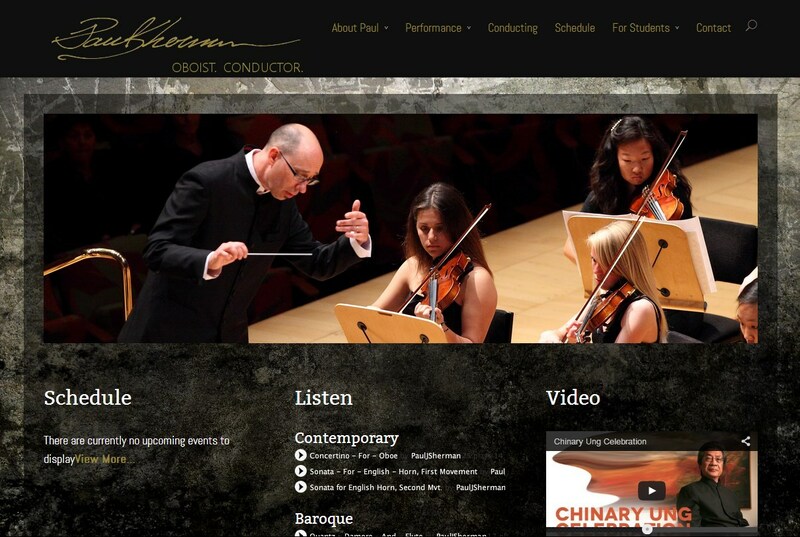 He teaches baroque oboe performance and is director of Le Canards du Roy, baroque oboe band at USC. On period instruments he performs with Grammy-nominated Santa Fe Pro Musica, Musica Angelica, San Diego Bach Collegium, Harmonia Baroque Players, Del Mar Baroque, and is a founding member of Jealous Nightingale Baroque. 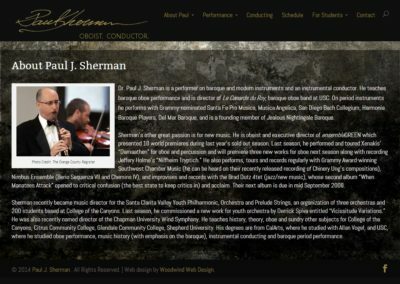 Sherman recently became music director for the Santa Clarita Valley Youth Philharmonic, Orchestra and Prelude Strings, an organization of three orchestras and 200 students based at College of the Canyons and was also recently named director of the Chapman University Wind Symphony. 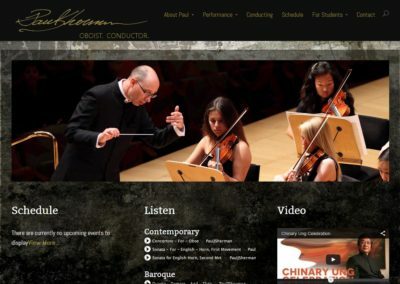 He teaches history, theory, oboe and sundry other subjects for College of the Canyons, Citrus Community College, Glendale Community College, Shepherd University.